Hampshire may be the most prominent school in the state to declare that it’s seeking a new path, but it’s not the only one. Newbury College will close this spring. 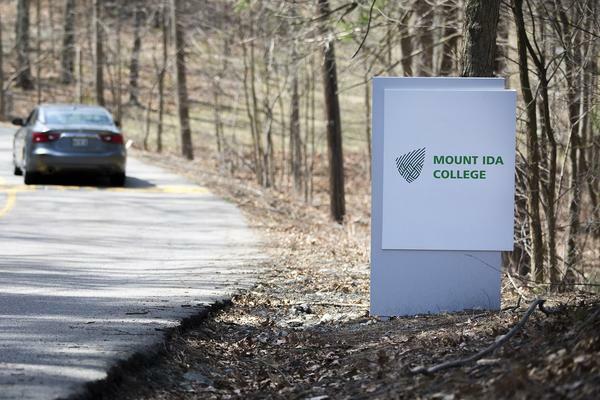 Last year, Mount Ida College closed abruptly amid accusations of fraud, while Wheelock College merged more elegantly with Boston University. In an interview, Miriam Nelson, Hampshire’s president since April, said the college’s transparent approach to a possible merger was designed to give the college “the luxury of time” as it seeks an ideal partner, “one who values the reputation that we would bring to them.” She called the situation completely different from the sudden shuttering seen at Mount Ida. Still, dozens of similar small colleges across the state — each with its own character and mission — are now confronting the same tough decisions. Here’s why — and what many may do to stay open. For years, the Harvard management expert Clayton Christensen has predicted that as many as half of American colleges could close over the next 10 or 15 years — simply as a function of bad business. Michael Horn, a writer and consultant who works with Christensen, wrote last month that it may not be that many or that soon. Still, he said, “the business model … is imploding” — and especially for colleges of Hampshire’s size and status. Meanwhile, though, their costs keep climbing. Today, Paul LeBlanc is the president of Southern New Hampshire University (SNHU), which now calls itself the largest university in the United States, due mostly to its 100,000 or so online learners. LeBlanc can’t help but compare his experience today with a time 15 years ago when he was president of Marlboro College in Vermont, with a typical enrollment of about 300 students. Even with such a small student body, LeBlanc said, certain fixed costs remain. “You still need a registrar and a staff for that. You still need librarians,” he said, among other necessities. Meanwhile, at SNHU, LeBlanc said, having an online enrollment almost the size of Manchester, New Hampshire, has meant saving through economies of scale, and enjoying a lot more wiggle room. “When you get very, very big, everything just gets easier,” he laughed. Broadly, college enrollment in Massachusetts is up over the long term — including at the private, four-year institutions that typically have higher sticker prices than their public peers. But since 2012, private colleges have watched that growth slow, almost to a stop: It’s up by just 1 percent. Most schools with fewer than 2,500 undergraduate students have shrunk. In this part of the country, that trend is expected to get worse. Projections suggest that New England — which has been dotted with dozens of intimate, liberal arts colleges for centuries — will struggle to produce enough young people to fill their classrooms in the next few decades. A 2014 report prepared by the Western Interstate Commission for Higher Education projected the populations of high school graduates nationwide in 2027. In all six New England states, they foresaw double-digit rates of decline compared to 2008 numbers: including Massachusetts (16 percent fewer graduates), Maine (22 percent), and New Hampshire (28 percent). Already, the small liberal arts schools that remain find themselves locked in a battle for next year’s incoming class. In an interview with WBUR, Hampshire College President Miriam Nelson cited what she called “increased, intense competition” for prospective students as one of the reasons to seek a merger. The other way that colleges can attract students is by discounting their tuition with financial aid. Many institutions see it as part of their mission to admit as many needy students as they can, and some offer discount rates as high as 70 percent. That may not be a problem at Harvard or Amherst, with about a million dollars of endowment assets for each of their students. But at “under-endowed” institutions like Hampshire, discounting — though it may be honorable — “even further hits your ability to bring in what you need to in order to keep your campus afloat,” Horn said. When Hampshire College opened in 1970, it was a disruptive institution. But today’s disruption is happening online, and so tends to favor schools that embraced the internet early. The most obvious example is SNHU, which began its distance-education program in 1996. But even smaller colleges have seen benefits from online learning. New England College (NEC) is a small school in Henniker, New Hampshire. Its president, Michele Perkins, has tried to be “adaptive” during her 13 years in charge. With the “demographic plunge” in mind, the school started offering online courses around 2005, connecting with employers to offer mid-career training to adults. Perkins conceded that “there was some skepticism” at the advent on online learning more than a decade ago, but that it was woven into NEC’s culture. Perkins said she doesn’t have a “secret sauce” for thriving in the 21st century. But she added that that kind of resourceful expansion — with a core mission in mind — “there’s a lot that you can do.” Hampshire and Wheelock’s quest for the right partner institution could be said to fit in that category, too. There’s no guarantee that the direst predictions of mass college closures will come to pass. But to be sure, Hampshire’s decision is a sign that small colleges and their boards are thinking intently about how to get out of these binds: reaching outside of a geographic trap with online education, or finding strength in a larger partner. At the same time, state officials are asking that other colleges strive for transparency. The state’s board of higher education is considering ways to more closely monitor schools’ financial health. And Baker has said he plans to refile a bill that would require early notification — to the state, students and staff — of liabilities and risks that could result in imminent closure. Most people WBUR spoke with said they were inspired by the legacy Hampshire College has left in its first 50 years, and hopeful that it will find a fitting home for the next 50. When private higher education works, LeBlanc said, “it can be a beautiful thing — but we have to do a lot better.” His hope is that the present uncertainty, no matter how painful, may help those schools “do better” down the line.